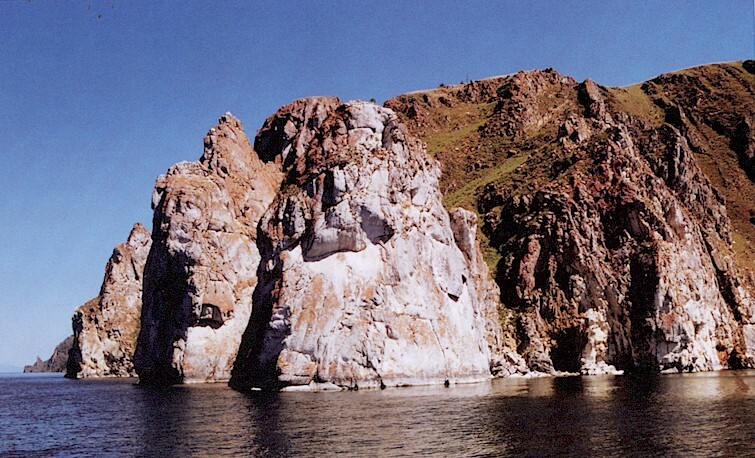 Olkhon, the biggest island on Lake Baikal in Eastern Siberia, stretches more than one hundred kilometers as if dividing the lake into the smaller and larger parts. 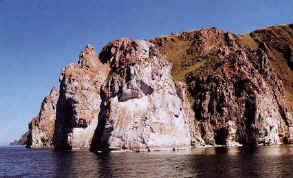 The island's comparatively small territory is a combination of taiga, steppe and even a small desert. Its flora and fauna are unusual too. Olkhon is the home of many tribes and peoples of Central Asia: the bellicose….. One of the legends connected with the island says Olkhon is where the "conqueror of the Universe" was buried. That was how contemporaries used to call Genghis Khan, the great Mongol conqueror of the early 13th century.
. 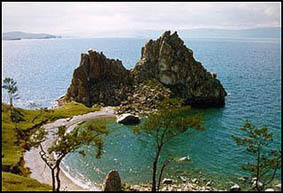 The capital of Olkhon is a tiny village called Khuzhir, the lake's defender were rewarded in April, 1987, when the Soviet government issued a comprehensive decree protecting Lake Baikal. precipitation is extremely low here- about 240 mm per year. that Khan Gutababai came here and was sent by high spirits from the Heavens. sunny days per year is more than at the coast of the Black Sea. the channel by ferry. Legends say that warriors of Ghengis-Khan stayed here. the river and valley that lay across the Maloye More. 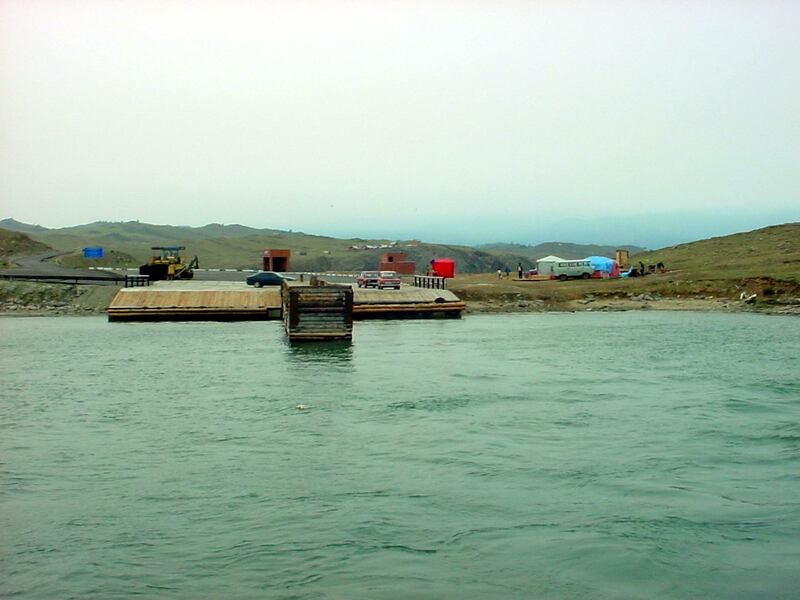 Khaday Mountain - the highest pass between the ferry dock and Khuzhir. Shamanists pray here and give offerings to the spirits. available for campfires in this area. mountains across the Maloye More. tale. It is said that it keeps it's own spirits and secrets. relief, ill people - health, and people with big egos - humility". Institute of the Earth's Crust. pleasantly warm and is good for swimming. 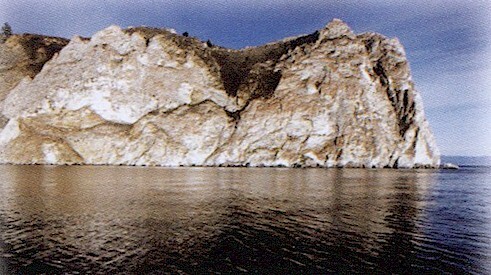 currents, flowers and various plants are found here. in 1963. Traditionally, women were not allowed to go up the mountain. the information needed to publish this pamphlet.